Here's a couple of mahi mahi fish recipes. You could use mahi mahi any time you would have used swordfish or tuna steaks. It has a similar texture to these fish and is available in abundance. You may find it at some supermarkets, but you could also ask your fishmonger to stock it. It is often available frozen in steaks - they are just as good as fresh, because they will have been processed and frozen quickly so as not to lose quality. Place the mahi mahi steaks in a shallow dish. 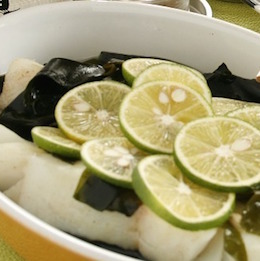 Mix together the oil and lime juice with a few twists of black pepper and pour over the fish. Slice another 2 limes and lay them on top - leave in the fridge to marinade for about an hour and turn it a couple of times. Mix together the butter, lemon juice and rind and parsley - form into a sausage shape and leave in the fridge. 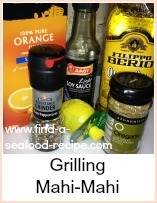 Heat your grill and line the pan with foil - brush with oil so that the fish doesn't stick. Grill the fish for about 4 minutes either side then top with the lemon and parsley butter just before serving. 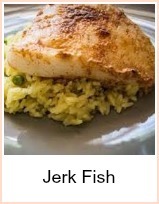 Here's the second of my mahi mahi fish recipes. Assemble your salsa ingredients - tomatoes, cucumber, onion and pepper in a bowl. Mix together the olive oil and wine vinegar. Adjust the seasoning with pepper and sugar to taste and pour it over the salad - mix thoroughly and leave it in the fridge for about one hour before serving. Heat your grill - line the pan with foil and brush with oil. Put the mahi mahi steaks on the foil and brush with oil - add a sprinkling of lemon and a couple of twists of black pepper. Cook for about 4 minutes either side - when you turn the fish, brush with oil and add lemon and pepper again. 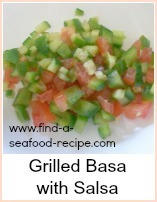 Serve with the salsa salad. 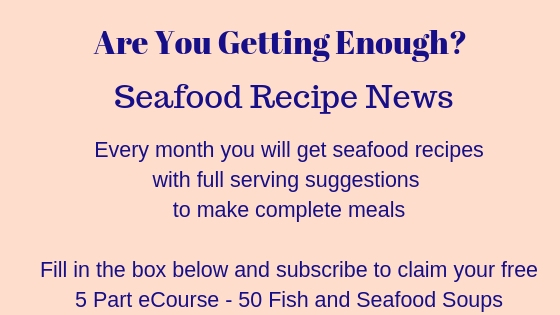 Either of these mahi mahi fish recipes could be barbecued or you could use swordfish, tuna, halibut or any other firm fleshed fish as a substitute. Super easy mahi-mahi fish recipes with lime butter or salas.